How do principal-agent relationships evolve within a context of structural contradictions? The principal-agent relationship is a very simple one. It simply means any relationship in which one party (the agent) is contracted by another (the principal) to do something on their behalf. So when you take your car to the garage for example, you, as owner of the car and the person hiring, are the principal. The car mechanic, as the person being hired to do work on your behalf, is the agent. As society has grown more complex and specialised, principal-agent relationships have become increasingly important to modern day life. The reason for this is that they exist when one party does not have the time, resources and/or expertise necessary to carry out a certain task, and must seek an agent to do it on their behalf. Therefore, because such relationships are so widespread, and because they create problems such as moral hazard, asymmetrical information, adverse selection, and agency rent (see notes at the bottom if you wish to know what these are), they are always evolving. In thinking about how relationships evolve, the common approach is to think in terms of utility, attachment, and the basic emotions which drive us to maintain those relationships. In other words we tend to conduct relational analyses in an individualistic light, looking predominantly at the agents (when described in agency-structure terms both principal and agent are agents) who take part in the relationship, more than the structure within which that relationship evolves. Yet structures are built by individuals, and they are built to achieve certain things. Therefore, structures have intentions just as much as do individuals. So what does it mean when principal-agent relationships evolve within a context of several overlapping structures? Does it cause a synthesis of those structural intentions? 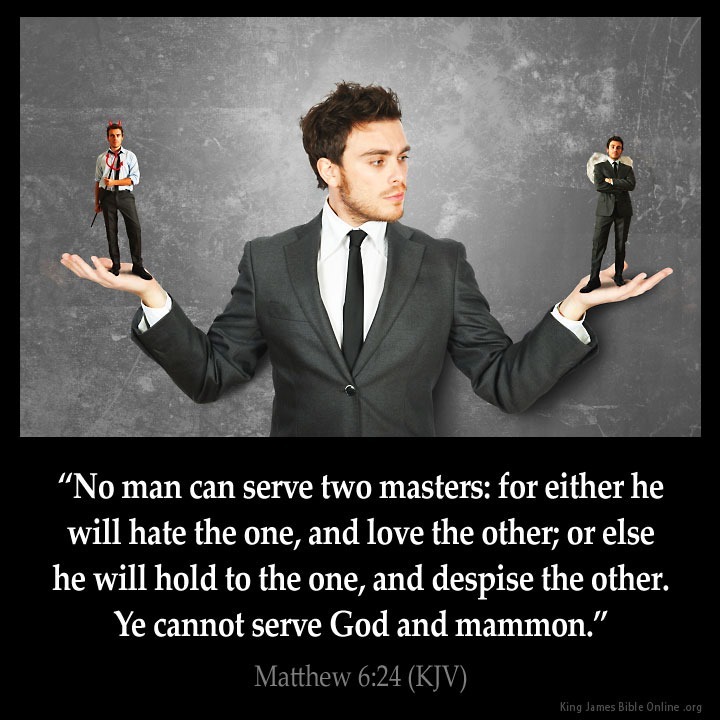 Or was the Bible (Matthew 6:24) right when it said that “no man can serve two masters”; implying that, if structures can be considered as Masters, then either one or both will have to be chosen over the other at various times. Let’s take the structural contradictions between liberalism, capitalism and democracy as examples. Can a principal-agent relationship evolve within each of these structures, and at the same time better achieve each structure’s goals? What’s the aim of each? I have to be very clear here; what I’ve written below is purely my interpretation of these concepts, and some people would disagree. Liberalism aims to maximise freedom of the individual, insofar as said freedom does not impinge upon the freedom of others; and thus it treats all individuals as being equal under the law. An utopian liberal principal-agent relationship would therefore be the most anarchic of all structural relationships. Its theoretical ideal would be that principal and agent collaborate together on an equal footing, towards a Pareto-optimal outcome in terms of marginal utility gains (an outcome in which no stakeholder’s level of satisfaction deteriorates). However its intentions as a structural framework would not be to create a Pareto-optimal outcome, but rather to allow it. This is why many people think that liberalism and capitalism go hand in hand, because liberalism is more concerned with equality of input i.e. legal rights, than output i.e. wellbeing, power etc. Capitalism aims to maximise productivity, by ceding power over the means of production, distribution and exchange of wealth to private individuals who express competencies through their existing capital holdings. An utopian capitalist principal-agent relationship would perhaps behave in a Darwinist fashion, as a great deal of Darwinist thought was absorbed into the then youthful notion of capitalism.The ideal capitalist principal-agent relationship would at face value seem very conservative, as it would seek to maintain, and further, the power held by the ultimate capitalist principals i.e. the capital holders. And yet it would be ruthless about letting those who squander their power fall. Democracy is slightly more collectivist in its thinking than those other two structures above. Where liberalism is slightly anarchic about its definition of principals i.e. everyone should have equal rights; and where capitalism selects individual capital holders as the ultimate principals; democracy finds the majority electorate to be the ultimate principal. An utopian democratic principal-agent relationship would therefore seek to empower the electorate. Although many well-renowned figures have argued that democracy and capitalism go hand in hand e.g. Schumpeter and Friedman, the aims of democracy and capitalism are immediately and visibly contradictory if the above definitions are used. So what does this mean for the evolution of principal-agent relationships? If you were writing a contract governing a principal-agent relationship today, what would you do? Would you instinctively employ one structural understanding over another? Would you seek to serve the interests of multiple structures at the same time? My expectation is that as principal-agent relationships evolve, they’re led by social, state and international structures towards one or other particular ideological structures. So for example in the period after the Cold War ended I might expect to see that principal-agent relationships evolved towards being more capitalist, as this period of history saw many people believing that capitalism was the best system that we would ever find. Whereas when a left wing government takes power, and proves to be successful with the economy, I would expect to see that principal-agent relationships become more socialist. Restrictions on the types of relationships Specific fiscal decisions made by key individuals, and how the decision makers interacted with their agents and principals in making the decisions. It doesn’t matter whether those decisions were made into law or not. It could simply be a decision to vote in a certain way. The focus will be on what influenced that decision and how e.g. were measures taken to mitigate the principal-agent problems, and if so did they better help capitalism or democracy? Temporal restrictions The longer the timeframe the better the data will be in terms of building a trend in the evolving direction of said principal-agent relationship. However this will of course depend on what data is already available. Restrictions on the type of research Secondary theoretical analysis will be required in order to test what I see as the study’s main weakness i.e. the subjective theoretical interpretations against which data is analysed. And if feasible it would be great to verify any hypotheses which emerge as a result of this research en masse via crowd-surfing. However most data gathered will be in the form of individual interviews with the key stakeholders involved. Such a study would not only provide invaluable data on the evolving trend of principal-agent relationships among political and economic elites, but would also prompt further research questions into the impact of competing ideological structures on decision making among elites. However, the idea behind this research is at present only that: an idea. No research proposal of any shape or form has yet been drawn up. Therefore, I would be immensely grateful to you if you could share your thoughts with me. It doesn’t matter how educated those thoughts are. What do you expect that I’d find? Is it a worthwhile idea? Is it feasible? Whatever your thoughts are, I would truly love to hear them! Adverse Selection refers to the process through which undesirable selections could be made, usually as a result of when principal and agent have asymmetrical information. In agency terms, adverse selection often occurs because those least qualified for a post are often the keenest to be hired. For the same reason, the most ambitious are likely to try harder, and so to obtain posts more quickly than those who are perhaps more able. Yet they could also be more likely to policy shift if they think it will get them a better job in the near future. In political situations adverse selection may often be more likely, as it could occur without asymmetrical information. For example election results could require a coalition, or party factions could necessitate certain, otherwise undesirable appointments. Agency Rent describes the opportunity for agents to extract ‘rent’ (in material or policy terms) that the principal would rather not pay. This rent can be extracted within the agent’s ‘bargaining range’. For example even if there are other perfectly suitable candidates for the job, so long as there are costs involved with replacing the agent, there is always bargaining power to be had. Rent can be extracted in material terms where the agent has the power to request more resources/pay than he/she actually needs, in the form of leisure i.e. agent shirking, or in the form of policy i.e. policy shifting. Agent shirking is a situation when the agent is not putting in the required effort to get the job done, which is possible in the Principal-Agent relationship because the agent can observe what he/she is doing much more closely than can the principal. Policy shifting occurs with the presence of asymmetrical policy goals between principal and agent. As the agent does not share the same preferences as the principal, they may not lead in the direction that the principal would wish. For example ministers may have different policy ideas to their principal: the Prime Minister. 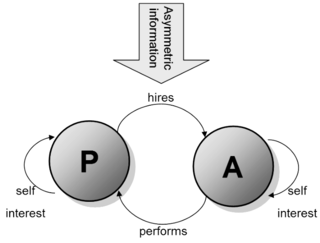 Asymmetrical information means no more than to say that both parties do not have the same information. But the most commonly described problem here is what Gary Miller describes as Weber’s asymmetry i.e. the agent, as the specialist, holds an informational advantage over the principal, who thusly feels a need to make use of his/her authority to incentivise the agency to act according to his/her interests. For example when you take your car to the garage, you know that the mechanic knows more about the car than you do. You don’t know that when they say they’ve fixed the problem, they haven’t created another dozen, which will require you having to go back to the garage within a few months. So you, as principal, might want to ask for some sort of insurance e.g. that if there is a problem in the same area of the car within the next six months, that they will fix it. Those seem to me to be good questions. Though I would really appreciate more examples. How would democracy and capitalism conflict in a real-life choice? Also, how is conflict between structures a problem? What’s wrong with the idea that we care about multiple things that mostly go together well but that will clash from time to time? Thanks Matt. It’s great to hear you say that they’re good questions as I really value your opinion. In the PhD proposal, my main emphasis is not on asking whether or not we can find evidence of contradictions, but rather on whether there is a hidden principal or not, and what are the consequences if so. It’s a concept I made up to describe my hypothesis that the capital holder acts as a principal to elected politicians, through implicit contracts. Implicit contracts are recognisable by law. They’re not set down in writing, but can be ‘seen’ by the courts if there is evidence of a relationship wherein actions are taken with a reasonable expectation of reciprocity. So for example when the Minister of Finance is lobbied to implement more favourable tax rules for a certain company (I read yesterday that a dollar extra in lobbying is commonly winning two dollars in additional tax benefits for the company at hand), and the people who elect him want companies to pay more, then he is effectively being contracted by two different principals with contradictory agenda. How is the above an example of competing ideological structures? Democracy and capitalism are not simply ideas. They are vastly held ideologies, which permeate every level of society. Indeed, in the latest Democracy Journal scholars Lindberg, Coppedge, Gerring, Teorell et al discuss a new measurement of democracy (V-Dem), which takes into account the fact that no-one actually agrees on what democracy is, and thus it must be measured on various different dimensions. When the capital owner acts within their hidden contract (if one exists) they are acting with the belief that they are positioned on the right wing of the democratic spectrum. But in fact the very existence of the hidden contract would suggest that in fact to a very large degree, they operate outside of it, influenced by a whole different set of ideas. Most studies of present day crises focus on the failures of capitalism to secure growth. But there is also a growing attention to the possibility that it is the very success of capitalism which most causes crises, and if my hypothesis proves correct, then this would be one way of interpreting the results. How is conflict between structures a problem? Similar to the plate spinning metaphor that I used before in another post (https://biggestquestions.com/2014/04/19/human-conflicts-come-from-structural-disequilibrium/), if different structures are in a state of disequilibrium then there is potential for tension and conflict. Imagine one plate (political agent) held up by many different structures. What happens when one structure grows in a different manner, or at a different speed? Different structures can complement each other, but only in areas where they agree on the goals. If capitalism teaches its principals to maximise self-utility and economic growth, while democracy teaches its principals to maximise collective utility and well-being, then the principal-agent relationship will never be able to please both of its teachers at the same time. It will grow towards one, while it grows away from the other.